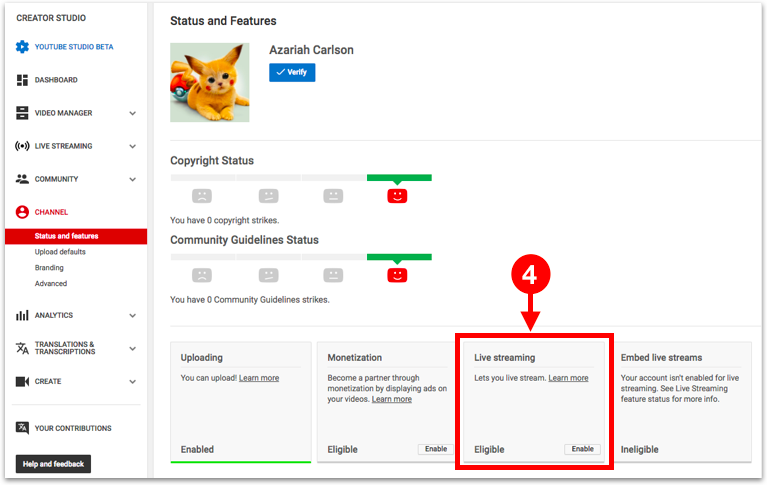 Following message is displayed when live streaming feature is not enabled for a YouTube account connected to OneStream. To enable streaming click the green Enable Streaming button. You will be redirected to YouTube features pages. 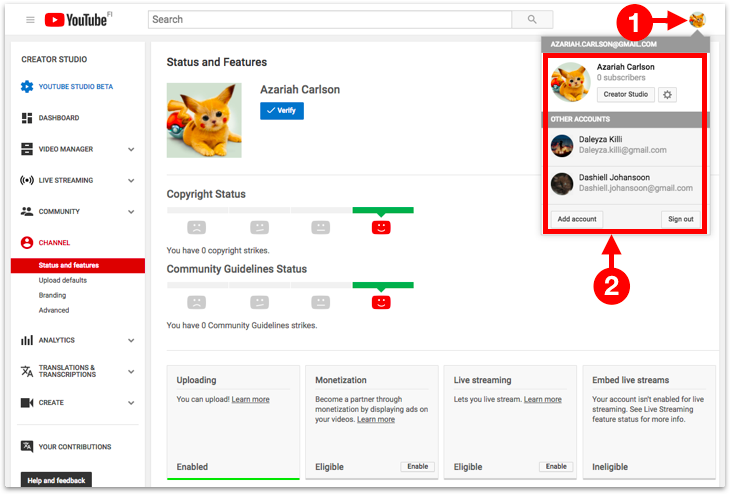 Select the correct YouTube channel or brand account from the list for which you need to enable streaming. From the list of features, Enable Live Streaming feature. You might be asked to verify your account first. Note: If the feature is already enabled, simply go back to OneStream dashboard and refresh the page. 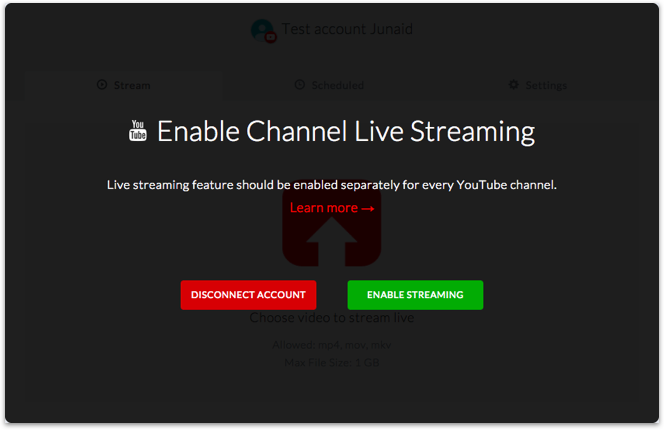 After enabling live streaming, return to OneStream and continue.